On September 7, 2014, New Zealand hams John Yaldwyn, ZL4JY and Steve Jepson, ZL2KG, set a new DMR DX record by working DMR simplex over a distance of 191.7 km from the slopes of Mt. Taranaki to Waikanae, New Zealand. We here at VA3XPR receive messages from hams all over the world and we greatly appreciate all of your feedback and stories relating to this wonderful hobby we call ham radio. Recently, we received a message from John Yaldwyn, ZL4JY of Waikanae, New Zealand regarding their impressive DMR range tests on the 70cm band using both repeater and simplex operation. Essentially, on September 7, 2014 at 12:45pm local time, Steve Jepson, ZL2KG, who was situated at the Stratford Plateau car park on the slopes of Mt. Taranaki, an active stratovolcano located in Egmont National Park, worked John, ZL4JY at his home in Waikanae – a distance of over 191.7 km (119 mi) using the ZL national 70cm DMR simplex frequency on 432.7625 MHz. A Connect Systems CS700 handheld connected to a dual-band 2m/70cm mobile antenna was used at Mt. Taranaki and a Motorola MOTOTRBO XPR 5550 mobile connected to an 8-element Yagi antenna was used in Waikanae for the DMR contact, with perfect signals in both direction. The view from the ZL2DMR repeater site on Colonial Knob on the outskirts of Wellington, New Zealand. Photo courtesy of Steve Jepson, ZL2KG. To test the usable range for DMR repeater operation, Steve also tried working through the ZL2DMR repeater, which is located on Colonial Knob – a distance of 213 km (132 mi) from his location on Mt. Taranaki. What they found was that Steve could receive without any problem, however he could not transmit through it – the repeater was triggered, however a voice QSO could not be made through it. 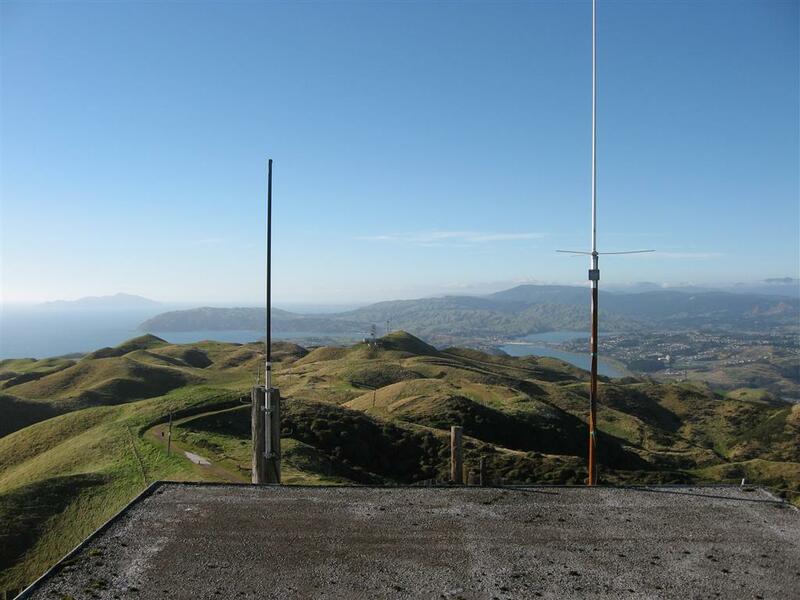 By moving closer to the repeater to the top of Waitotara Hill, which is located 149 km (93 mi) from the ZL2DMR repeater, contact was possible and a two-way QSO made. Do you have a similar story to share about your experiences with DMR? If so, please share it with us on our Facebook group.